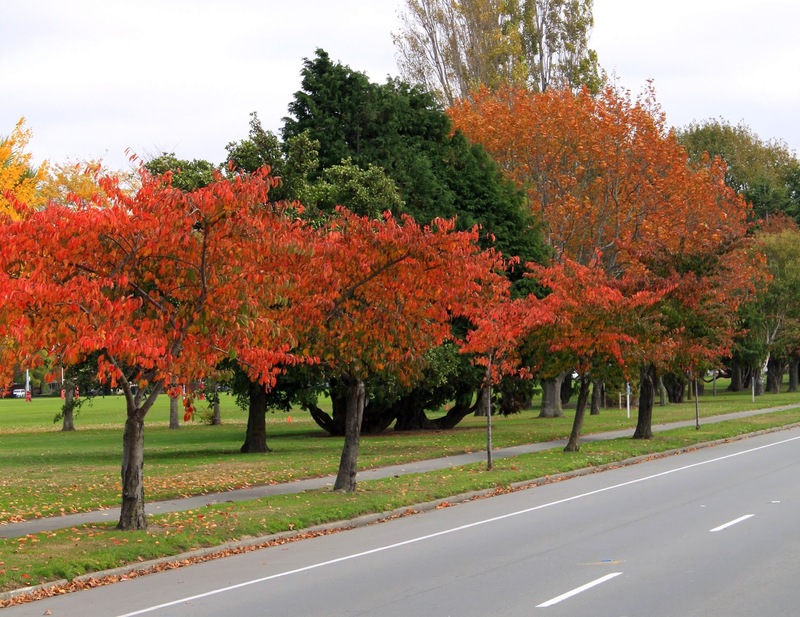 Wow, this year the colours of the trees down Memorial Ave look spectacular. I am sure they look good every autumn but I wonder if because we haven't had a decent hard wind for a week or so if the leaves are staying on the trees for longer so I get more opportunities to see them. Before the next nor' west arrives I took the opportunity to take a few photos. I tried to pick a quiet time of day traffic wise but as usual it was still too busy for me to stand in the centre of the road and comfortably take a photo. 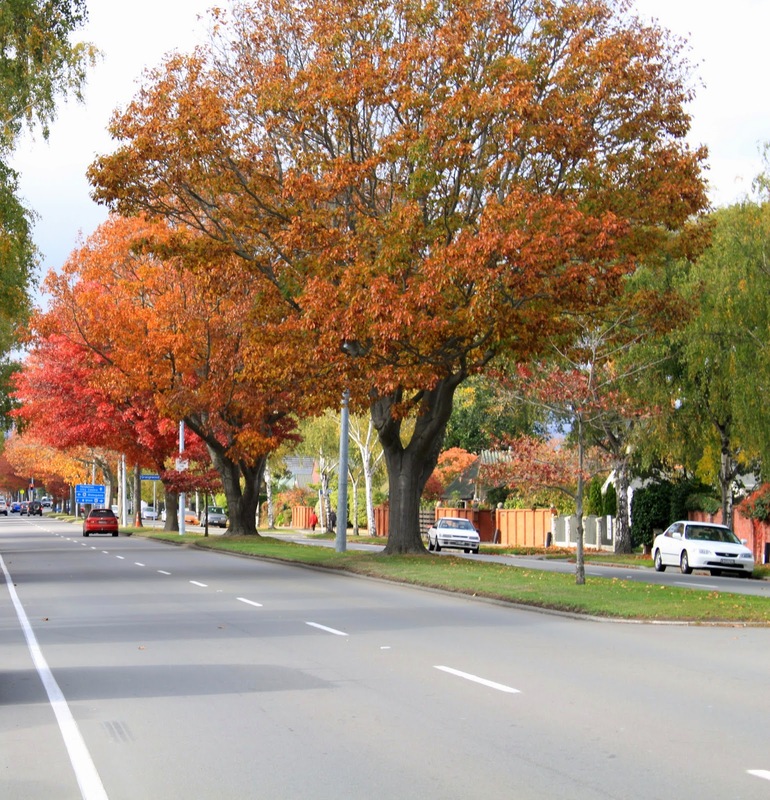 I drive along this road everyday and I think the trees look better from the road than from either the median strip or the footpath. I would love to take a photo while driving but I need a willing particpant to do that.